DANCING WITH THE LEXINGTON STARS! 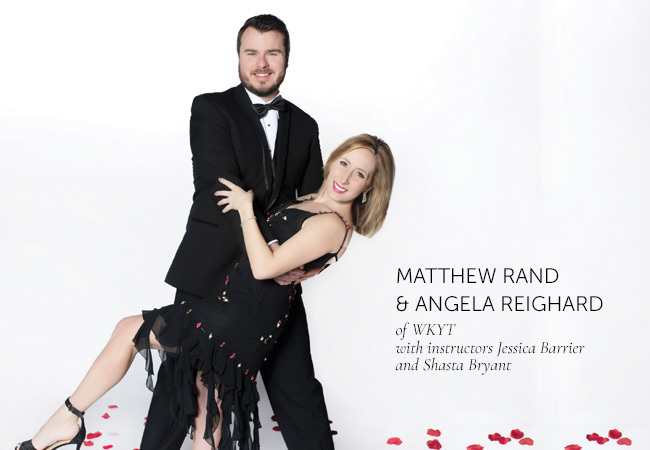 The Rotary Club of Lexington, in partnership with Lexington Arthur Murray Dance Studio, presents the 9th Annual Dancing With the Lexington Stars. Since its inception in 2011, this event has quickly become the “talk of the town” fundraiser in our community. 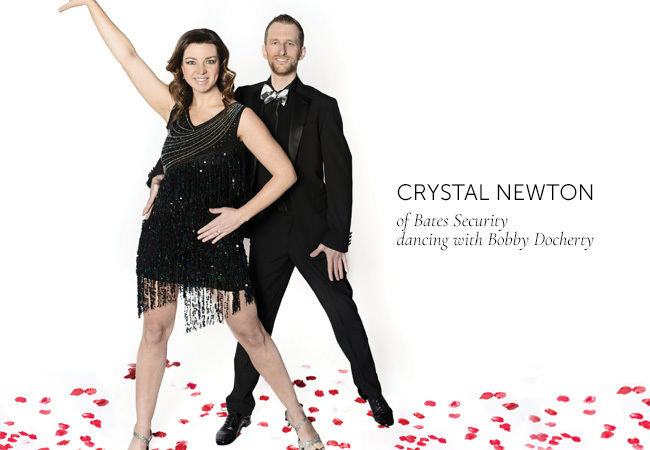 This fun- filled affair puts the dancing skills of local leaders and celebrities on stage, trained by the professionals at Arthur Murray Dance Studios, to raise funds for the Lexington Rotary Club Endowment Fund. The major beneficiary of the funds raised is Surgery on Sunday, founded by former Rotarian and local surgeon Dr. Andy Moore, along with numerous other community charitable organizations. With nearly $800,000 raised the first eight years, this event has touched thousands of lives in Lexington and beyond. Best Move: The moonwalk. No, wait, that’s my partner, Bobby. Secret Weapon: My competitive energy and pursuit of success. Favorite Music Genre: Unfair question – I love ALL music! Dancing Inspiration: My darling, dancing daughter Aden. Biggest Challenge: Not looking at my feet. Why are you excited to participate in DWTLS? From fundraising and bringing awareness to this great cause to learning a well-choreographed dance, DWTLS is such a great event to focus positive energy. Best Move: My nieces would tell you it’s flossing. They are always goading me into doing that move for them. Favorite Music Genre: I love ALL music. I always havea song in my head and am singing or dancing around my house. If I have to choose a favorite genre, it would be pop (specifically boy bands). Don’t judge – I grew up in the ‘90s. Dancing Inspiration: Paula Abdul has always been a favorite of mine since I was a kid. She has great moves! Why are you excited to participate in DWTLS? It is such a fun and unique concept! I appreciate philanthropic efforts. Secret Weapon: My talented partner, Catherine. Biggest Challenge: Overcoming my fear of embarrassing myself! Why are you excited to participate in DWTLS? In my medical practice, I am often assisting patients to do things that are often times out of their comfort zones. In order to reach your full potential, I believe that you must occasionally do things that stretch the boundaries of your comfort level. 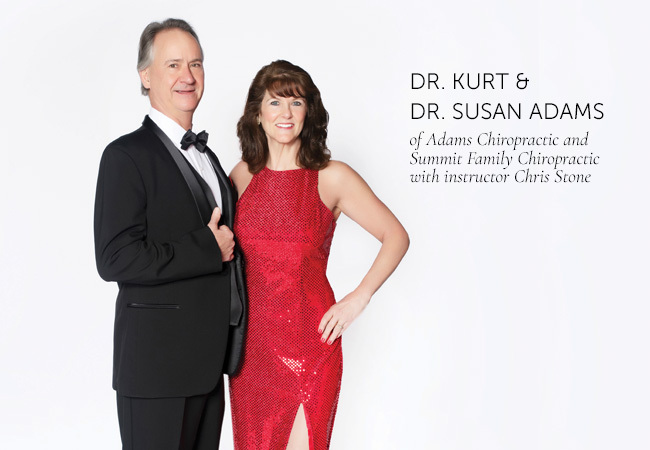 If I can help raise money for a charity that I believe in while stretching the limits of my own comfort, grow from the experience and perhaps inspire my current or future patients to strive to be better... well, that just sounds like a triple win. Best Move: Agreeing to participate! Secret Weapon: Our wonderful instructor, Chris Stone. 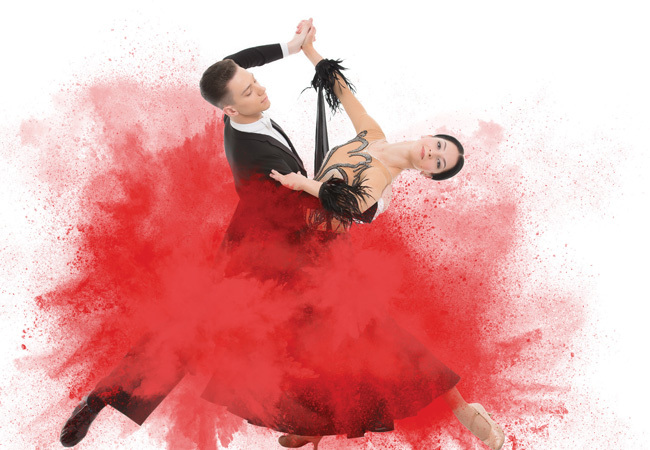 Dancing Inspiration: Raising money for the charities! Biggest Challenge: Practicing at home with our 3 beagles at our feet. . .
Why are you excited to participate in DWTLS? 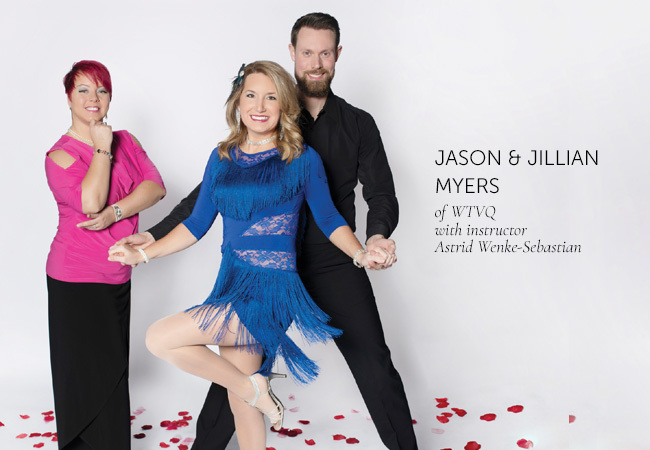 We are honored to be dancing to help support Surgery on Sunday and the many other great charities supported by the Lexington Rotary Endowment. Best Dance Move: Breakdance, robot, pop and wave. Secret Weapon: Our cute kids: Lauren (16), David (14) and Natalie (10)! Bret’s Dancing Inspiration: I attended a talent show when I was 13 and did a breakdance routine. I was hooked. Also, love Saturday Night Fever. Bret’s Biggest DWTLS Hurdle: I had knee surgery in January and getting ready to practice was a challenge. Also, coordinating 4 others in the routine is an absolute trick! Why are you excited to participate in DWTLS? First, to raise money for this great cause. Second, I’m on a mission to be in the best shape of my life when I turn 50 this September. I want to prove I can still break it down like it’s ‘85. Lastly, I wanted to include my family in the process. We all are so busy, and grateful we have this chance to make memories of a lifetime. Matthew’s Best Move: Picking a great partner! Angela’s Biggest Challenge: Not tripping! Why she’s excited to participate in DWTLS: It’s an opportunity to put myself out there, learn something new and help people – who wouldn’t be on board with that? Why he’s excited to participate: It’s a great opportunity to get involved and make a difference in my community! Favorite Musicians: Michael Bublé or The Standards – any music associated with that genre is great. Biggest Challenge: Keeping up with my dance partner! Why are you excited to participate in DWTLS? Being a part of the health care community, it’s an honor to help support Surgery on Sunday. Best Move: Carolina Shag Secret Weapon: Having fun no matter what! Favorite Music Genre: I love every type of music, and I’m frequently changing up what I listen to. Biggest Challenge: The one foot height difference between me and my wife! Why are you excited to participate in DWTLS? This is such a wonderful opportunity to make a difference in the lives of folks in the community through Surgery On Sunday. Why are you excited to participate in DWTLS? I’m so honored to serve CHI Saint Joseph Health advancing the philanthropic agenda to support our hospitals, facilities and the patients and families we serve. The Sisters of Charity of Nazareth began the mission of compassionate care to the poor and underserved in 1877 , and it is a tradition we still carry out today. 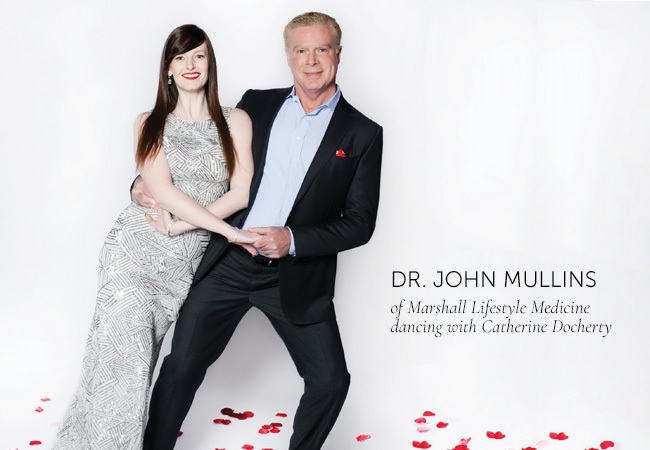 It’s why we are proud to be an important partner for Surgery on Sunday, and I’m thrilled to have an opportunity to participate as a dancer for this worthy cause. Best Dance Move: It’s got to be my dance moves to the Baby Shark song with my toddler grandsons. This catchy kid’s song went viral and hit the Billboard Hot 100 songs and is a great way to get exercise with your little ones on rainy days. Favorite Music Genre: My love of music spans across everything from opera, to western swing, to classical and pop music. Dancing Inspiration: I’m a fan of old, classic movies so I have to go with Fred Astaire and Ginger Rogers and anything choregraphed by Jerome Robbins (West Side Story and The King and I) or Bob Fosse (Caberet and Chicago). Biggest DWTLS Hurdle: Choosing a very challenging waltz to learn for my dance routine. Why are you excited to participate in DWTLS? 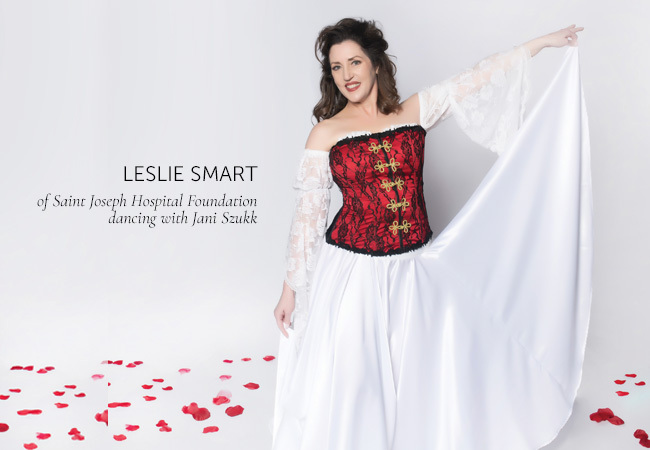 It’s an exciting, yet humbling experience for me to express myself through dance while raising money to benefit the skilled, compassionate works performed by the dedicated Surgery on Sunday doctors, nurses and staff.